______ means "surrounded by glory." ______ is the official language of Greece. _______ is located at the crossroads of Europe, Asia, and Africa. ____________ was born in 287 B.C. ________ is the symbol of freedom, art, and democracy in the conscience of civilized world. _______ was a prominents city-state in ancient Greece. Greece is an ___________ of islands. _______ is a major island in Greece. The ___________ were formed on mainland Greece and ruled the region. 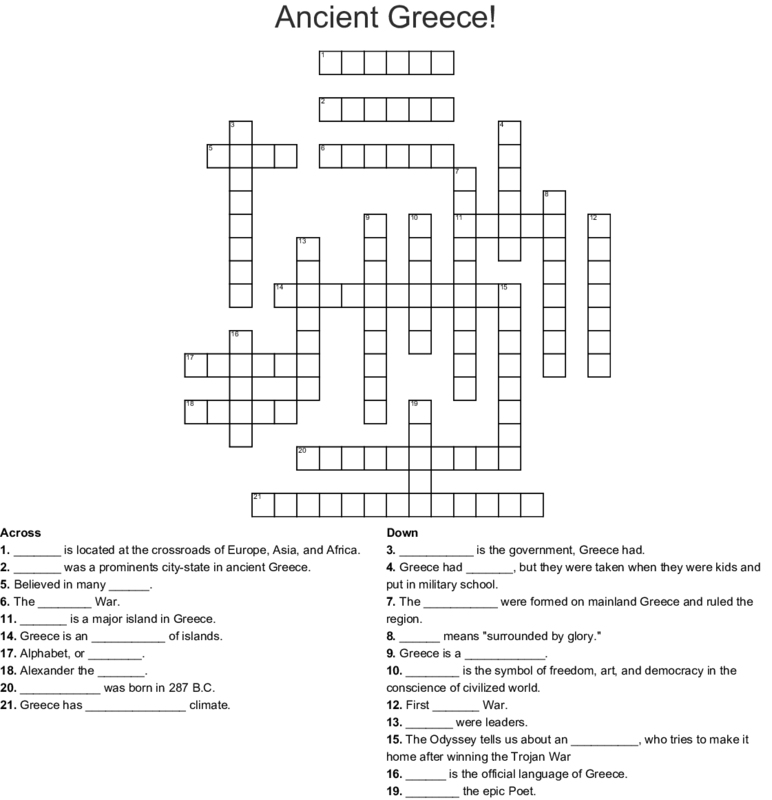 Greece had _______, but they were taken when they were kids and put in military school. ___________ is the government, Greece had.